What do you imagine when you think about Sisters? What is religious life all about? Find out by spending time on our site journeying with some amazing religious women while exploring resources to help you discover your own calling in life. 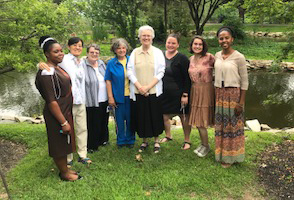 Religious Sisters are joyful talented women energized by living out their lives in service to others. Each one has a story to share. There are many ways of being a Sister. 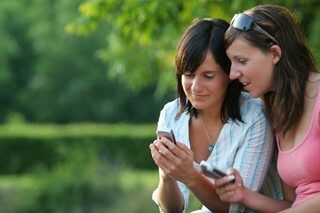 Sisters bring a wide array of skills, interests, talents and professional experience. Learn more about their life in community as they pray, live, learn and work together to better our world. The Sisters of Bon Secours are here to help as you explore God's purpose for your life. Learn the steps to discernment and the journey that you can begin today. Hello, I am Sister Rose Marie Jasinski, leader of our Congregation in the United States. I am delighted you came to visit our website and have prepared a short video introducing you to the site components. Enjoy! You can now download our free app for iPhone or Android! There are so many opportunities for women today! When it comes to choosing a career, owning a home, having a family, and the opportunity to be financially independent, women can do just about anything they put their minds to. Interestingly though, in a world where "you can be anything you want", religious life is often not talked about as an option. So, why be a sister?